The full State Pension is £168.60 per week (19/20 tax year). The current State Pension age for men and women is 65. This is due to rise to 66 in 2020. To qualify for the current full rate of UK State Pension shown above, you need to have paid 35 years of National Insurance (NI) contributions. If you do not have the required years of NI contributions, you may find that the weekly amount you are due to receive is lower than what you expected. To receive the State Pension you must have made NI contributions for 10 years (these do not have to be consecutive years). To qualify for the current UK State Pension, you need to have paid 35 years of NI contributions, all of which must be at the full rate. If you have less than this, it is called a gap. A gap will lead to a reduced rate in your pension. You may have a gap because you were self-employed and did not pay voluntary NI; you were living overseas; or you did not claim benefits while unemployed. The old State Pension was made up of two parts, the Basic Pension and the Additional Pension. It was possible to build up Additional Pension, known as State Earnings Related Pension Scheme (SERPS), and after 2002, the State Second Pension (S2P) within the state scheme. Alternatively, you could contract out of the Additional Pension and for the years you did so, your State Pension was reduced. The idea was that the NI contributions you paid towards the Additional Pension would instead be included in a private pension. This option would allow you more freedom to choose how your money was invested and when to take the benefits. In some cases, employers made that choice for their employees within the workplace pension scheme. However, if you chose to contract out it will mean that although you may have paid enough NI contributions, you are not entitled to the full rate of State Pension. If you are unsure when you are due to receive the State Pension, or how much you are eligible to receive, you can check on the Gov.uk website. The great news is – there is a way to boost your State Pension entitlement to the full rate. 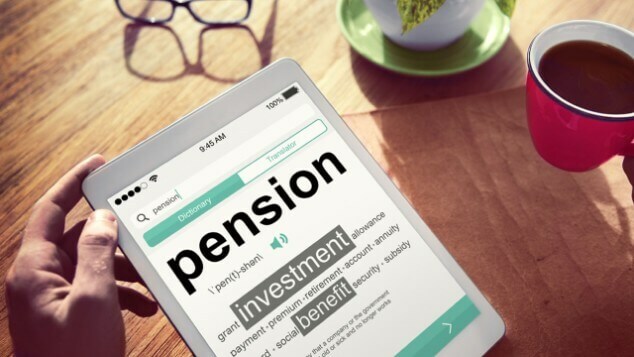 The method you use to boost your State Pension depends on how close you are to retirement, what type of State Pension you are receiving and if you have a little bit extra money to spare. If you can spare some money, it is possible to top up some of your missing qualifying NI years by buying extra. These are called class 3 voluntary NI contributions. To find out if you have any gaps and how much it will cost you to fill them visit the Gov.uk website. If you can afford to hold back taking your State Pension straight away, you have the option to defer it. Government rules state that for every 9 weeks you defer your state pension, it will rise by 1%. This works out at 5.8 % for every full year.1 So, even if you are receiving the full rate you can keep increasing your pension as long as you can afford to keep deferring. If you have a State Pension gap, you could be eligible for Pension Credit. This is an income-related benefit for those who do not qualify for the full rate of the new State Pension. It is means-tested so all your income and savings will be assessed. If you don’t have enough money to buy NI years to fill any gaps, your State Pension could be topped up to the full rate by the pension credits. To find out if you’re eligible for Pension Credit and how much you could get, visit the Gov.uk website.